Book launch: "Governing Europe - a Federal Experiment"
Join ANDREW DUFF, President of the Spinelli Group and former Member of the European Parliament, in conversation with FRANKLIN DEHOUSSE about his new book. Andrew Duff has written a ‘constitutional novel’ about the European Union. 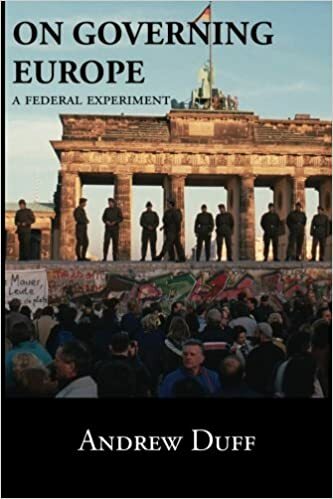 He describes how the EU was born at a time when federalism was seen as the only way to lasting peace, but how continuing tension between federalists and nationalists has left the European Union unable to fulfil its promise. The author argues that the rise of the European Parliament, Central Bank and Court of Justice has not been matched by the emergence of a capable democratic executive. He analyses how treaty change has shaped the form the Union takes today. Although Brexit marks the failure of the EU’s historic dual mission of 'widening and deepening', it also offers up new opportunities to rectify some of the Union’s shortcomings and to strengthen governance at the European level.